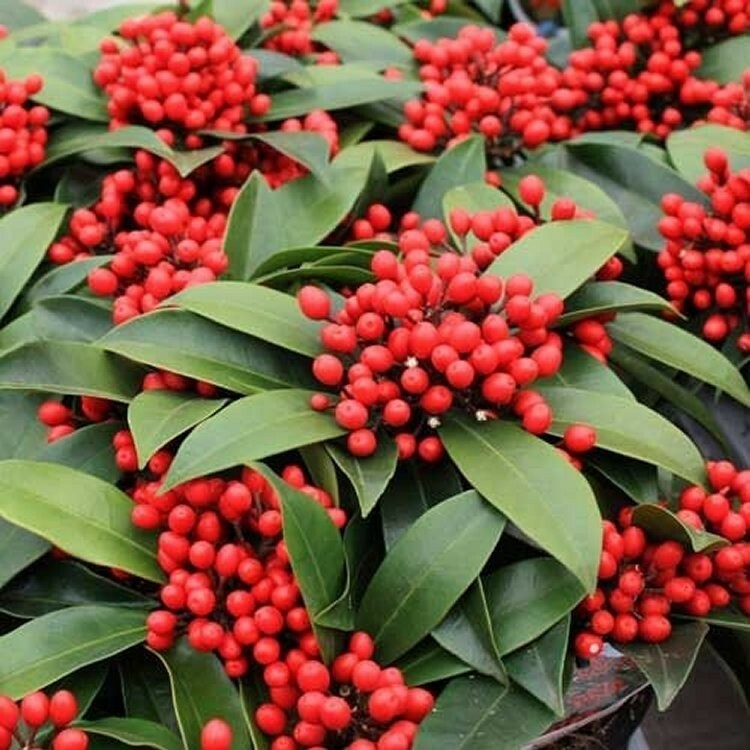 Reevesiana is a female form of japanese Skimmia with a dome-shaped, evergreen habit, forming a near shrub with dark green, slightly aromatic leaves. In mid to late spring, fragrant white flowers, often tinted pink or red, open from densely packed red buds. In autumn, bright red berries are produced, often lasting well in to winter. A good shrub for a pot on the patio or in the garden border. Supplied as bushy plants in approx 15cm/1.5 Litre containers, with berry/flower in season. 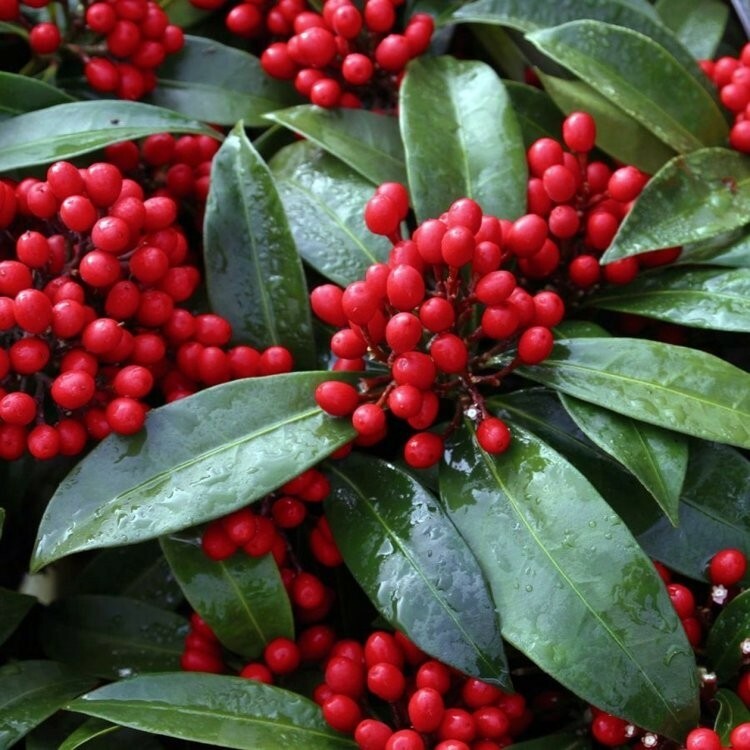 To ensure the best crop of berries, we recommend planting a male form of Skimmia such as Rubella or Kew Green in your garden too.